Hill walkers and climbers are being urged to stay safe as they prepare to enjoy what for many is the most rewarding season of the year. With winter now starting to bite, many hillwalkers and climbers will be looking out their ice axes, crampons and headtorches. But mountaineering experts have stressed that it takes much more than this to be ready for winter. Mountaineering Scotland has highlighted the high quality of online information which can be easily accessed before heading for the hills. 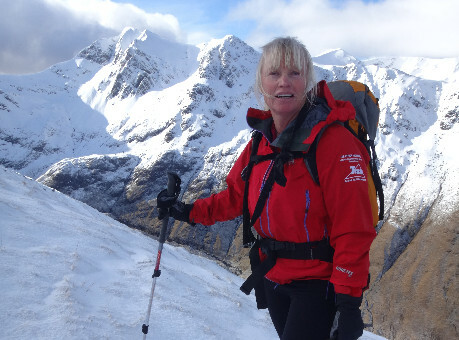 General advice is also available through the Mountaineering Scotland website and, in partnership with Tiso and Cotswold stores, the organisation is running a free winter safety lecture tour. Check out dates and venues for our winter mountain safety lecture series. Heather Morning said: �Folk heading out onto the hills in winter should take advantage of the advice and information on offer to ensure a safe and enjoyable day. Kev Mitchell, vice chair of Scottish Mountain Rescue, said: �Mountain Rescue in Scotland is provided free by world class volunteers on call at all times and in all weathers. We fully endorse the Mountaineering Scotland winter safety message and would encourage hillgoers to ensure that they have left details of their intended route and expected return time. �People should also be aware of and use the latest navigation / location technology such as GPS or OS locate and other similar apps to avoid navigation errors. However, it is critical that a paper map and a compass are carried and that people know how to use them. Click here for more essential winter mountaineering advice .